Native to North America, the plant grows from central Canada southward to Virginia. The herb is an aromatic perennial bush, growing to six feet producing thick, fleshy roots, large leathery leaves, small greenish-white flowers, and red or purple berries. The root is unearthed in summer or autumn and chopped while fresh and dried or processed immediately to form a thick paste. Native Americans have used Spikenard internally to treat backache and topically to treat bruises, wounds, swellings, and other skin inflammations. Because of their wide usage of the plant, it was soon dubbed the "Indian Root." The Cherokee and New World settlers made a tea for backaches. 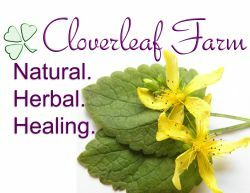 The Shawnee used it for flatulence, coughs, asthma, and breast pain. The Menominee used it as a cure for blood poisoning. The plant was included in the US National Formulary from 1916 to 1965. Many of today's uses come directly from those of early Native Americans. The herb encourages sweating making it useful in treating fevers and since it is stimulating and detoxifying, it is commonly used to treat the early stages of illness. Infusions and decoctions are used to treat colds and coughs and other such respiratory conditions as asthma, as well as for rheumatism. Applied externally as a poultice, it is used on a number of different skin conditions, including eczema. Wild sarsaparilla (A. nudicaulis) is a relative and used medicinally in much the same way. It should not be confused with sarsaparilla of the genus Smilax. The leaves and stalks of two Asian varieties, A. chinensis and A. cordata, are eaten as vegetables.